In my opinion, the metro is the most useful and quick transportation mean of all. I usually avoid using my car wherever I know the metro can take me and this way I don’t have to worry about finding a parking space. 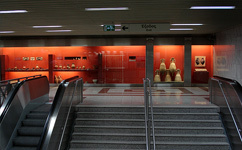 The metro stations are beautiful and different and the train and metro lines are interconnected so where the metro can’t go, there is always a train line taking you to your destination (in Athens and the suburbs). 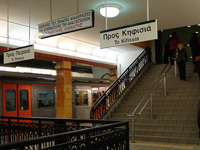 The train of Athens moves on a line serving the public for many years connecting the port of Piraeus, meaning the southern suburbs, to Kifissia, the northern suburbs of Athens. 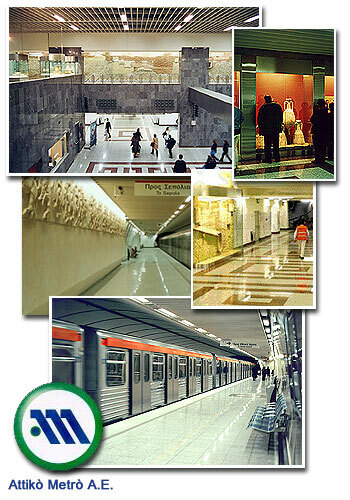 There are three interchanges of metro and train, one in Omonia square, one in Attiki and another one in Monastiraki. Omonia is in the center of Athens so if you come to Athens by boat you can take the train from the port of Piraeus, the train station is only a few minutes away and then stop to Omonia square either to find your hotel or to change lines by taking the metro this time, leading you to any place you need to be. To go to the airport you will take the blue line 3 of the metro heading towards Airport. 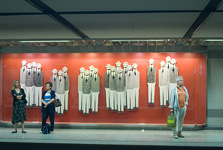 It consists a continuation of the suburban railway which will take you to the airport really quickly. Trains run every 4 minutes during rush hours and no less frequently than every ten minutes at all other times. After midnight the metro closes to open again at 5:30 am, while the train stays open till 00:30. Every Friday and Saturday metro operated until 02.00. 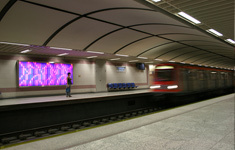 2011 The new prices of the public transportation tickets of Athens listed in detail here.